Palazzo Montemartini Hotel is looking particularly splendid tonight, her elegant facade proving a worthy canvass for the projected images beaming off her. It is as if the grand old dame is actually beaming at me; revelling in the red-carpet unveiling of yet another chapter in her legendary life. 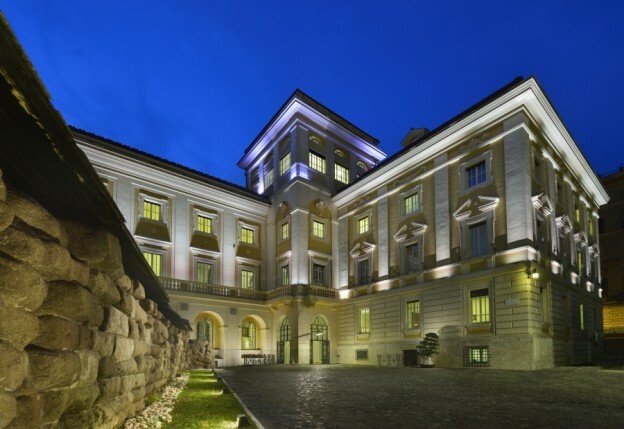 I heard about Palazzo Montemartini from a local in the know. 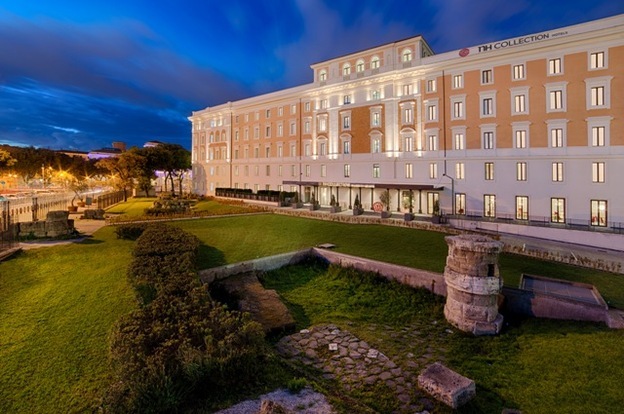 Word is it’s an exciting recent addition to the luxury hotel scene and it’s near the Termini Station, which makes it super easy to get everywhere, including the airport. I always think the best way to see Rome is on foot but you need a central base for that to work. 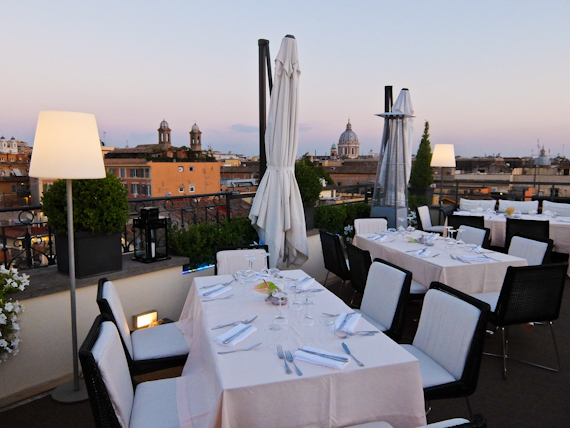 Just a short walk from Piazza del Popolo, the designer shops of Via del Corso, and the Spanish Steps, the 5 star First Luxury Art Hotel is situated down a quiet back street and has just 29 rooms and suites. It was built as a 19th century nobleman’s palace and only opened as a hotel 5 years ago.